Chevron Phillips Chemical Company LP has announced the successful commissioning and startup of the world’s largest on purpose 1-hexene plant. With worldwide supply capabilities, the 1-hexene unit is capable of producing 250 000 tpy and will enjoy significant advantages in infrastructure, feedstock availability and operational knowledge by its placement in the existing Cedar Bayou Chemical Complex in Baytown, Texas, USA. The new plant is the third plant to utilise Chevron Phillips Chemical’s proprietary selective on purpose 1-hexane technology, which produces comonomer grade 1-hexene from ethylene with exceptional product purity. 1-hexene is a critical component used for the manufacture of polyethylene, a plastic resin commonly converted into film, plastic pipe, detergent bottles and food and beverage containers. The proven technology is already successfully used at Qatar Chemical Company Ltd.’s facility in Mesaieed, Qatar and at the Saudi Polymers Company plant in Al Jubail, Saudi Arabia. 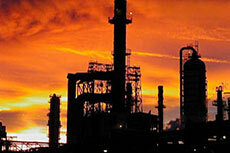 Both of these facilities are joint ventures of wholly owned subsidiaries of Chevron Phillips Chemical Company LLC. UOP LLC, a Honeywell company has announced that Honeywell Green Jet Fuel™ produced from its UOP Renewable Jet Fuel process will power 200 commercial flights on GOL Airlines during the 2014 FIFA World Cup in Brazil. GOL Airlines, the official airlines of the Brazil soccer time, will use Honeywell Green Jet Fuel for flights carrying the team to cities across the country that are hosting World Cup matches. The jet fuel was made from inedible corn and used cooking oil. Each flight will use a blend of Honeywell Green Jet Fuel with petroleum based jet fuel. UOP supplied nearly 92 000 ltrs of the fuel for flights. Compared with petroleum based jet fuel, this renewable fuel will reduce greenhouse gas emission by 185 t of CO2 over the course of the event based on lifecycle analysis. Blended up to 50% with petroleum based jet fuel, Honeywell Green Jet Fuel requires no changes to aircraft technology, meets all critical specifications for flight, and can reduce greenhouse gas emissions by 65 – 85% compared with petroleum based fuels. Outokumpu has delivered, altogether, 40 t of Outokumpu 2507, 2205, 254 SMO® and 316L stainless steel grades for two flue gas desulfurisation units designed by Valmet. In 2015, a new sulfur directive by the EU comes into force, and according to the directive, sulfur concentration in the ship fuel must be below 0.1% in the Baltic and Northern Seas. In practice, ships need to either install flue gas desulfurisation units to remove sulfur dioxide or use more expensive low sulfur fuel. In flue gas desulfurisation, gases are converted into sulfuric acid and removed. Flue gas desulfrisation units use water and NaOH. Sulfuric acid, NaOH and heat make the environment of flue gas cleaning aggressive, which sets requirements for the materials used in the units. Valmet is one of the suppliers of such flue gas cleaning equipment. The First Women Business of the Year Award as been given to Veolia for going beyond statutory requirements in promoting and developing their talented female workforce and for its pioneering work in establishing a flexible workforce in the once traditional recycling, waste and water sector. The First Women Awards enjoy the support of many leading UK companies and business leaders and recognise pioneering women with an entrepreneurial spirit who have opened up opportunities for others outside the established norms of their industry. 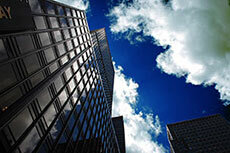 The Environmental Protection Agency has finalised a greenhouse gas permit for C3 Petrochemicals. Jerry Wascom is expected to be appointed President of ExxonMobil Refining & Supply Company. 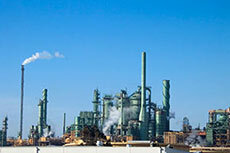 A look at some of the latest oil refining news from around the world. 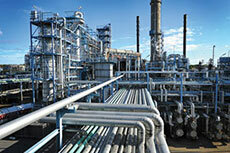 The latest oil refining news from around the world.